This scribble was published on Friday, November 14th, 2008. You can follow any banter on this scribble with the RSS 2.0 feed. You can share your inspired musings after typing the anti spam word near the bottom of the page. But no Pinging because its too naughty. 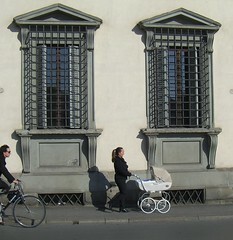 I do miss Silver Cross prams. You could get three weeks’ shopping in one and leave the child at the greengrover’s while you got a drink.